Amid strained relations with Russia, London is bringing more high-profile political figures in its dragging inquiry into the 2006 death of Aleksandr Litvinenko. The latest is Russia's anti-drug chief, who spoke to RT about the real target of this mess. Open hearings for the Litvinenko Inquiry started at the end of January, investigating his mysterious polonium-210 poisoning nearly a decade back. They were scheduled to last for about 10 weeks. The major task of the inquiry has been to try and incriminate Viktor Ivanov, the Director of The Federal Narcotics Service of Russia. As the inquiry hears closing arguments, the prosecution has been alleging that a report provided by Litvinenko to a security firm in 2006 before his murder made serious allegations against Ivanov, which could have served as a motive for the Kremlin to murder the former KGB officer by using a rare radioactive isotope. "It is clear that I cannot be the main target of this attack," Ivanov told RT. "These stones were thrown at the president of the Russian Federation, and this points us towards those who pulled the strings, certain Western political elites and their intelligence services. This is the level where there is no room for playing by the rules or delivering justice." The key witness in the new allegations is Dean Attew, who Litvinenko worked for, carrying out due diligence reports for his business, Titon – an international subsidiary of security company Erinys. The inquiry alleges that prior to his death, Litvinenko had been investigating a series of top-ranking Russian politicians, including Viktor Ivanov. "It should be noted that the High Court based these claims on the testimony of a certain Dean Attew, a witness to the case – although the materials of the case clearly indicate that in fact Mr. Attew neither witnessed nor could have witnessed himself the events that took place in St. Petersburg in the early 1990s, the Court is referring to," Ivanov said. The court argues that Litvinenko provided Titon with a series of “due diligence” reports for which he got paid $5,000 each. Litvinenko then shared the cash with Yury Shvets who authored the reports. "The source of the information that Mr. Shvets allegedly passed on to Mr. Litvinenko is, in fact, unknown. And yet, London's High Court sees it fit to use this information," Ivanov says. None of the other people in the case including the authors of the report, could have possibly been witness to the myths spread by UK’s propaganda machine, says Ivanov. "Thus, this information that came from an unknown source, in other words, basically, an allegation was used by the High Court, and the High Court itself was cynically used by some forces as a mouthpiece for circulating falsehoods". Ivanov who served in the FSB Directorate of St. Petersburg in the early 1990’s when Vladimir Putin was running the administration of the city, the report argues, was a close affiliate of the powerful Tambov gang, engaged in drug smuggling operations, against its rivals, it was alleged. One report in particular contained “staggeringly serious” allegations against both Ivanov and Vladimir Putin, Ben Emmerson, the lawyer for Litvinenko’s family said. The inquiry heard that Ivanov became Putin’s trusty “right hand”, used to resolve problems that required “pressure and intimidation”. “Ivanov has direct access to Putin’s ear, which allows him to implement his business projects. Building 25 business relations with him should be rewarding in terms of business although it does not generate sympathy among the Russian elite,” the inquiry heard. The inquiry suggests that two Russians – Andrey Lugovoy and Dmitry Kovtun – are responsible for Litivnenko’s death from polonium. Interestingly enough, the inquiry doubts the validity of the report into Ivanov’s role in the murder, and wants the public to believe that Litvinenko’s potential disclosure of the information is strong enough to incriminate Russia’s elite. “Leaving aside the question of whether any of this is true, as a report and as what’s contained in a report on somebody, it is pretty strong stuff, isn’t it?,” one of the inquiry questions asked on February 23. Speaking to RT, Ivanov called the allegations the result of months of “false incriminating evidence” work on behalf of the UK court that mass media is helping to spread. “Over the first three months of 2015 we saw a massive number of allegations and fabricated accusations,” he said. “Apparently, these three months were used to mislead the entire international community, as well as to throw dirt on a number of Russian officials, it’s as simple as that. It was a spectacle, a farce, a knockabout act, as they say in English”. The only thing true Ivanov says about the story is the fact that he was in charge of drug counter-smuggling activities in St. Petersburg in 1993, where he was responsible for ceasing over one ton of cocaine shipped from Columbia. 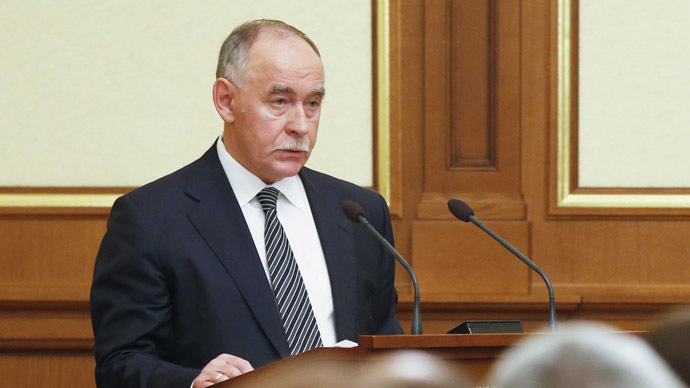 As for the Tambov gang and their leader, Ivanov said that the mafia has been dismantled and imprisoned. Author and Russia analyst Martin McCauley says cases like the Litvinenko one will always be exploited.